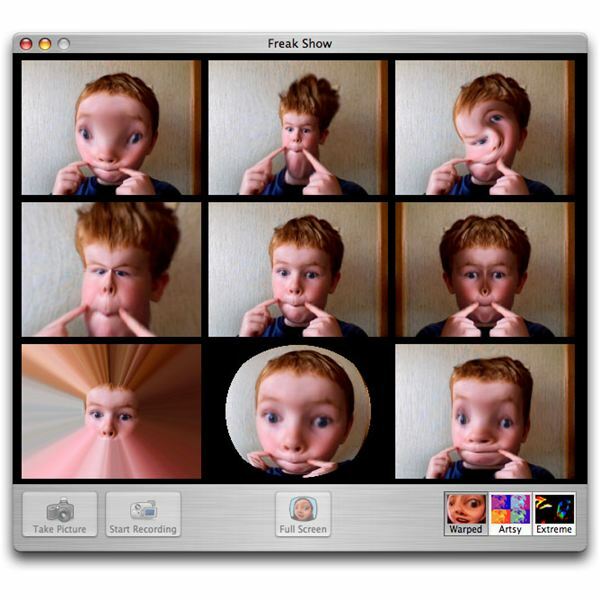 More iChat Effects offers 48 effects that can be used within your Photo Booth. These range from clown faces, fiery backgrounds, your face appearing as neon lights and (as the picture shows) holograms. I don’t think anyone can deny how real (and scary) the hologram looks! 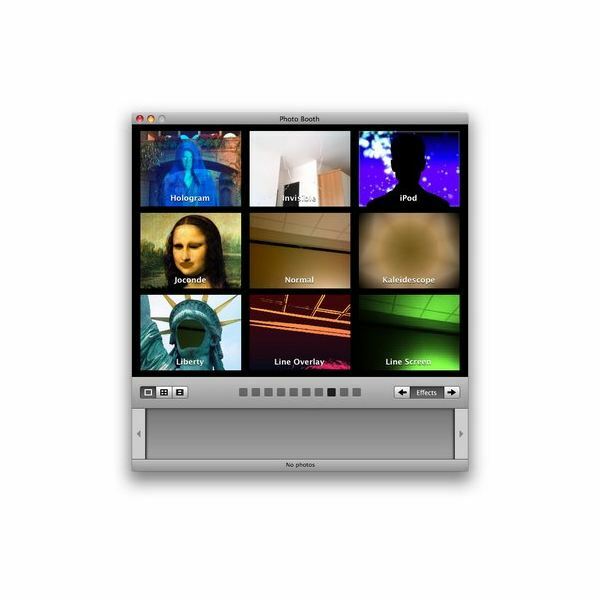 However, if you are perhaps seeking professional-looking effects, More iChat Effects also offers sensible downloads within their package for the sophisticated user. These include blurring the background (great if you are taking pictures in a messy room), and also an effect they call ‘film stock’, which makes you appear to be sitting in an olden-day classic film. Ironically, the package also contains an effect to make the user invisible. Definitely a good download for the fun loving Leopard owners out there. Created by B-L-A-C-K-O-P, this download contains 40 different effects, which are arranged into 5 groups in total. The first is named Retro Pixels, and it does not take a genius to figure out that these effects take your photos (kicking and screaming) into the early 20th Centaury. They include many black and white effects and also rainbow inspired looks, which are perfect for experimental artists. The second is named Love for the 80’s and brings your Photo Booth back to the 1980’s. These effects are reminiscent of times when Space Invaders and Pong were on top (and if that has not sold you, I don’t know what will)! The other three groups are named Bent Poles, BoobTube and FewTile, which have everything from double vision to crazy shapes. 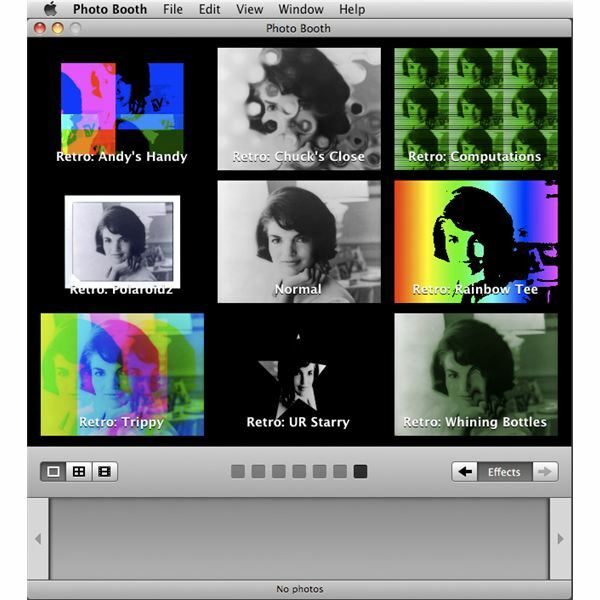 CatEye might not have as many downloads as More iChat Effects, but its verity is certainly worth checking out! Anyone who supported Obama in the recent U.S Election will love this quirky effect. In a campaign entitled ‘Hope’, Obama was seen appearing with one side of his face red and the other as blue. Therefore, if you are looking to create this legendary poster, Obamafy is the effect you have been looking for. It changes your background to blue and red and allows you to position yourself so your face can achieve the same effect. It is also possible to adjust the brightness by dragging the mouse from side to side and which makes it perfect in avoid the ‘washed out’ look many people experience while using Photo Booth. This makes it an all-round fun effect, which cannot be found anywhere else. Ever wondered what it would be like to be in a freak show? These 16 effects have been created with one thing in mind: to make you and your friends look incredibly strange. 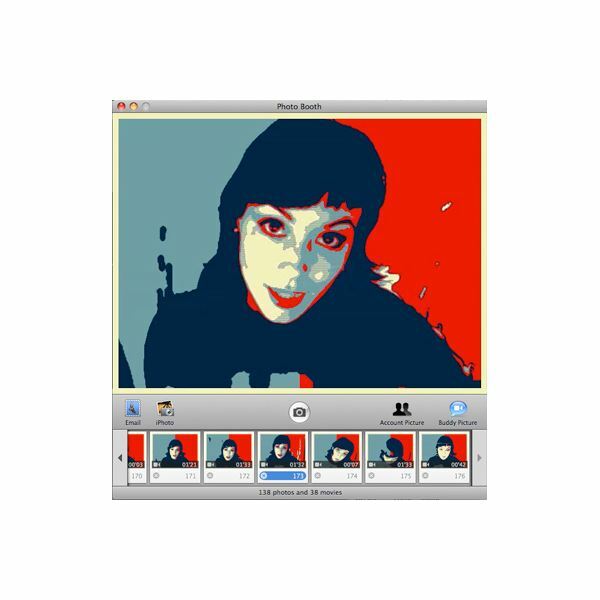 This would not be recommended to someone looking to make art from his or her pictures, but is great for anyone looking to have even more fun with their Photo Booth. The effects include stretching, magnifying and swirls, all which have the potential to provide hours of entertainment! If you take any screen shots when using Photo Booth, you can use iPhoto to edit the images even more.